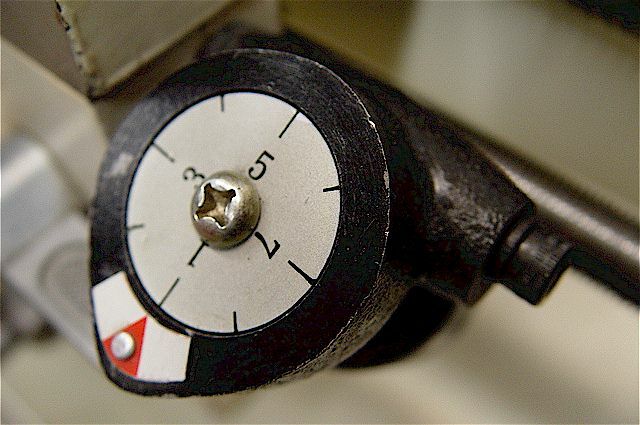 Threads: parts & basic thread shapes, reading thread designations, 3-wire method of measuring pitch diameters. Also refer to the Hand-tapping Section. 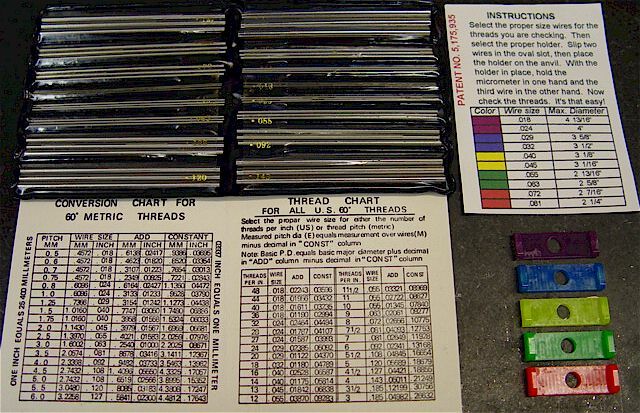 3-wire set (chart) & plastic color-code wire (micrometer anvil ) holders used to measure thread size. 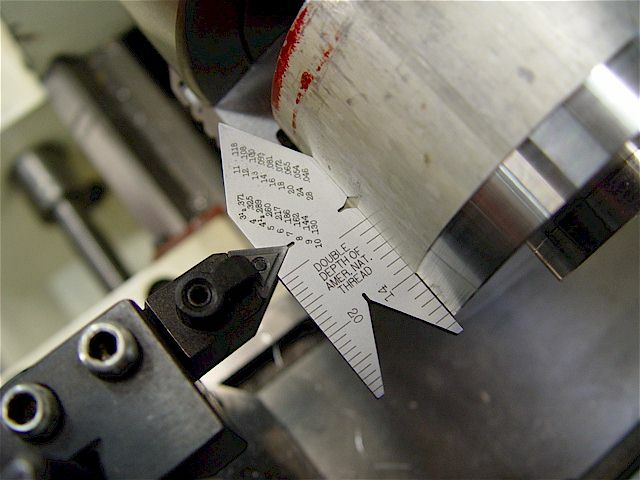 The Machinist Calculator has built-in 3-wire measurement functions. 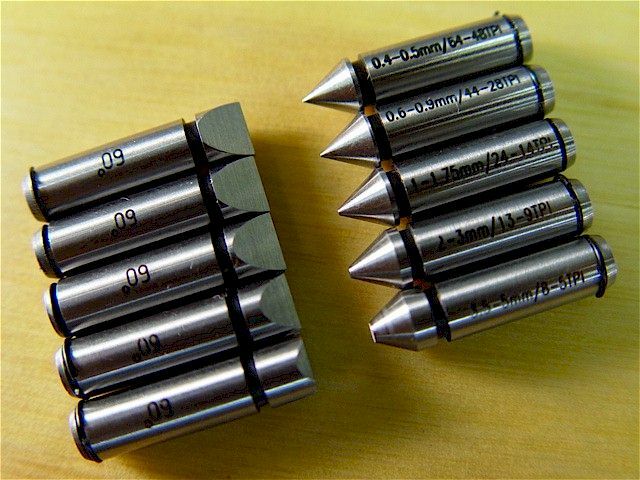 The 60 deg satin chrome-plated tempered steel Starrett No. 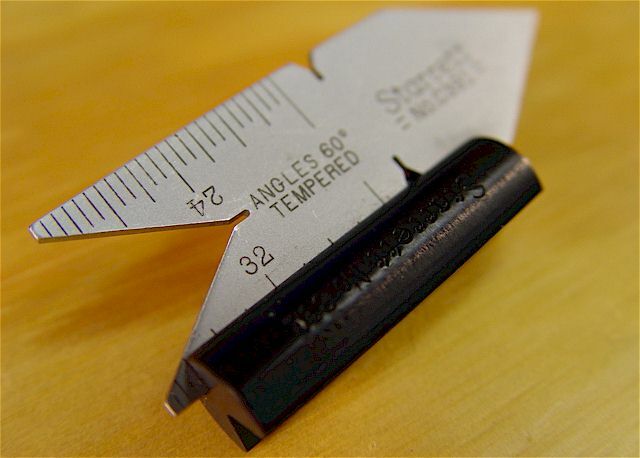 C391 center (or fishtail) gage. shown for different screw sizes but threads are best cut using the compound at left 29 degrees. holds the gage. The V-groove in the other side permits locating the attachment against a round part. 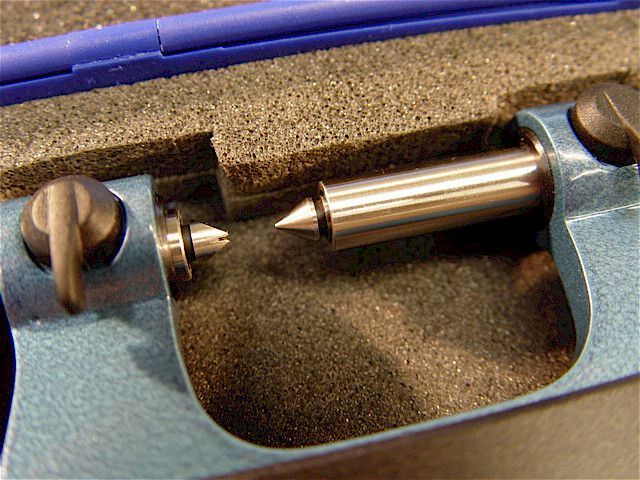 Using the center gage to setup the 60 deg tool bit cutting angle. the work. Re-check setup. Feed the tool in by moving only the compound. 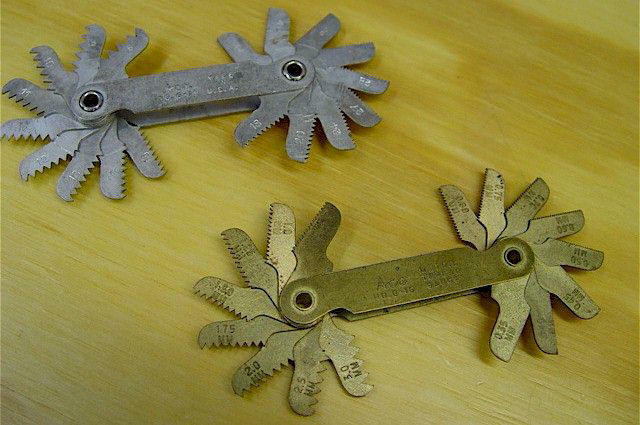 By using the compound, there is less stress on the tool bit & the cut is cleaner. 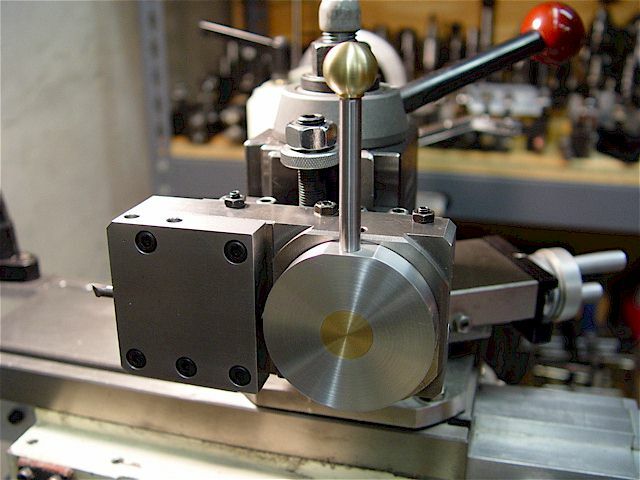 Using an angle jig to set & then (four-bolt) lock the lathe compound at 30 degrees. 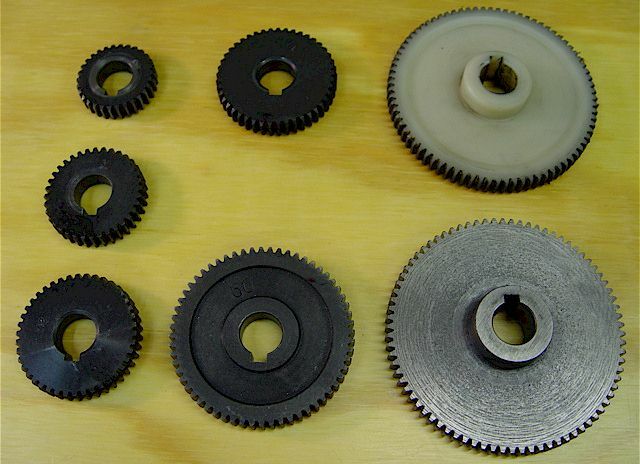 Gear ratios for various feed rates. See Jet feed gears. 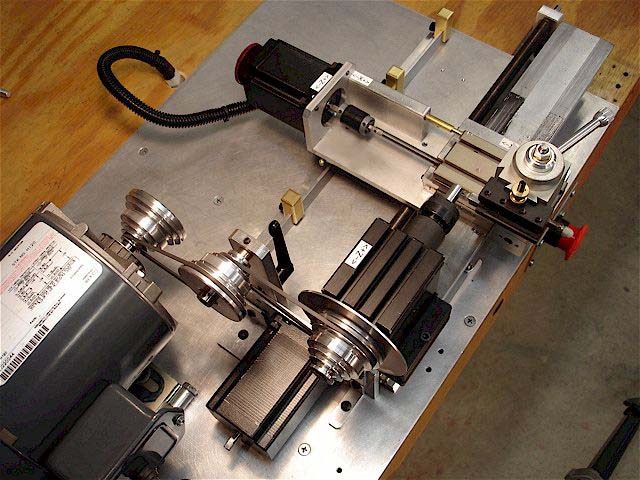 Other 9x20 lathes have additional gear sizes that are interchangeable with the Jet BD-920N. 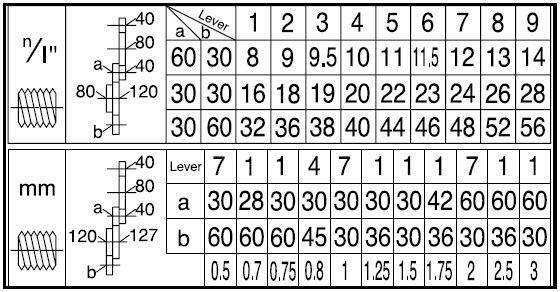 Gear ratios differ among the machines (e.g., Jet vs. Enco). I bought additional gear sizes (e.g., 120t), 127t) to have more ratios. the index pulses, Mach3 calculates the feed per revolution that corresponds to the pitch of the thread. 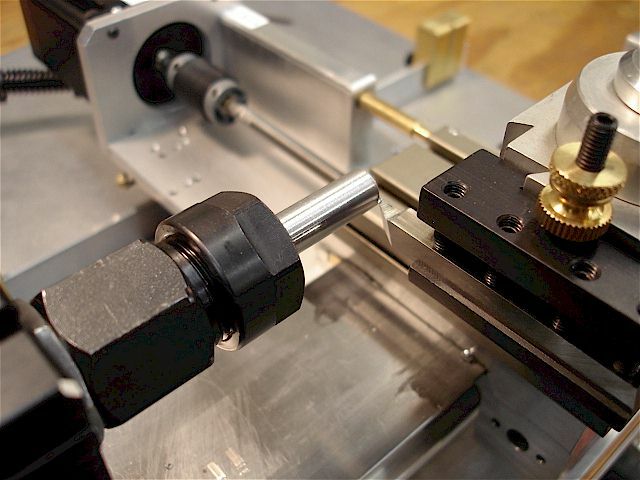 As an example, for one revolution of the lathe spindle, a 1/4-20 bolt has a thread every 0.050" (1/20). metric external pitch diameter. 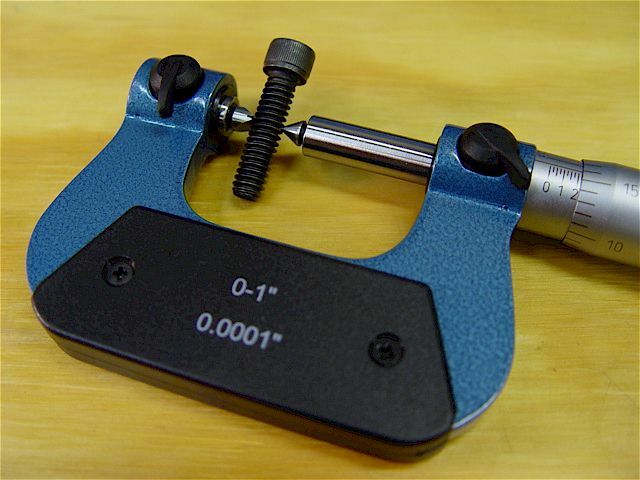 0" to 1" measurement range with a 0.0001" scale. A much easier pitch measurement method than the 3-wire method. Example measurement of a 1/4-20 screw. 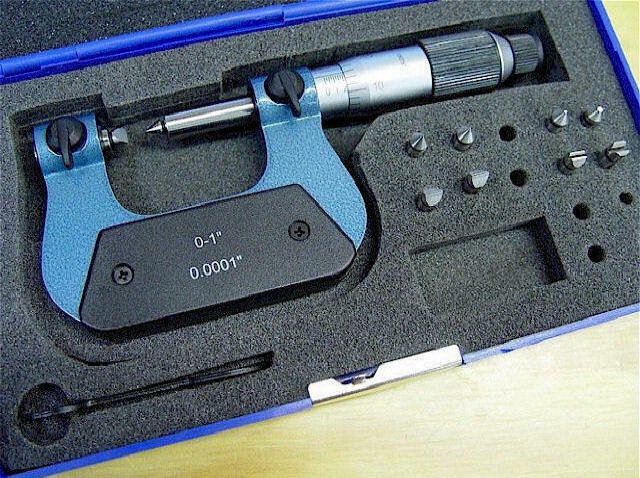 The micrometer reading is 0.2160". Table pitch value is 0.2164". 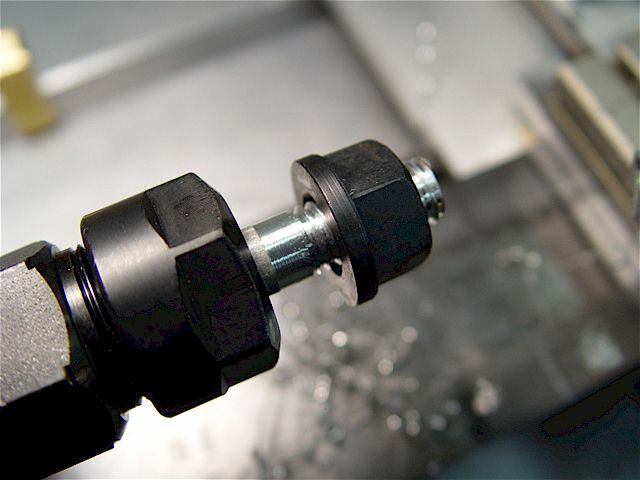 Standard Unified & metric thread gages. 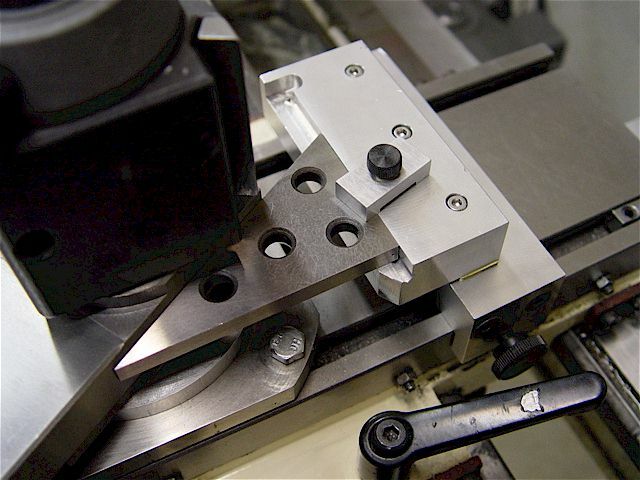 Two movies showing a Taig CNC lathe threading a 3/8-16 aluminum bolts.